The Outlaw Music Festival Tour is coming to the historic Hollywood Bowl on October 21, with Willie Nelson & Family, Phil Lesh & Friends, Sturgill Simpson, Margo Price, Lukas Nelson & Promise of the Real, and Particle Kid. Once again, Outlaw Music Festival created a once-in-a-lifetime concert event with Willie Nelson, Phil Lesh, Sturgill Simpson, and more – all on one lineup – uniting Deadheads and Willie fans for an unforgettable night of music. All that plus emerging music stars Margo Price and Lukas Nelson & Promise of the Real makes this the must-see concert event of the season. “From ‘Whiskey River’ to ‘Sugar Magnolia’ to ‘Breakers Roar,’ music fans are in for a real treat in hearing all the songs they know and love,” says Keith Wortman, co-creator of the Outlaw Music Festival Tour. Tickets for the general public go on sale Saturday, August 4, 2018 at 10 AM PST via Ticketmaster.com, by phone 800-745-3000 or the Hollywood Bowl Box Office. American Express Card Members can purchase tickets before the general public beginning Wednesday, August 1 at 10 AM PST, through Friday, August 3 at 10 PM PST. VIP packages including great seats and exclusive festival merchandise will be available. The incredible lineup of music stars already announced for leg 2 of the Outlaw Music Festival Tour in fall 2018 includes Willie Nelson & Family, Van Morrison, Neil Young & Promise of the Real (Saratoga Springs), Tedeschi Trucks Band, Sturgill Simpson, Nathaniel Rateliff & The Night Sweats, Brandi Carlile, Margo Price, Greensky Bluegrass, Lukas Nelson & Promise of the Real, Terra Lightfoot, The Commonheart, and Particle Kid. (For artists performing in various cities, please refer to the specific market lineups listed below). The second leg of North America’s biggest touring music festival will stop in nine cities, beginning in Burgettstown, PA and ending Los Angeles, CA. Each festival tour date will feature a unique range of festival attractions including local cuisine, craft beers, and crafts by local artisans to provide music fans in each city with an unforgettable concert experience. 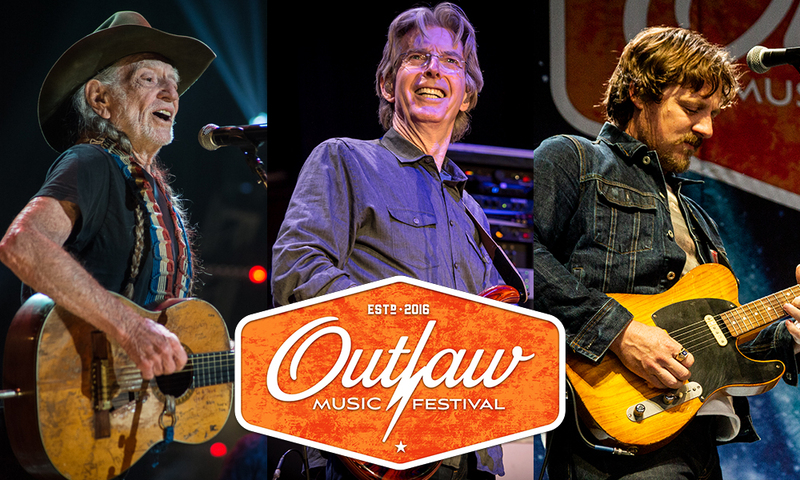 The inaugural Outlaw Music Festival made its debut in 2016 in Scranton, PA featuring Willie Nelson & Family, Neil Young + Promise of the Real, Sheryl Crow, Chris Robinson Brotherhood, Lee Ann Womack, and Cabinet. The sold-out show was so well received that Blackbird and Nelson decided to take their band of outlaws on the road as a touring festival in 2017. Last year, the Outlaw Music Festival Tour hosted more than 100,000 fans in amphitheaters and arenas all over the country. From Willie Nelson to Bob Dylan to Eric Church to The Avett Brothers, fans shared unforgettable music memories and enjoyed unique vendor villages with local food, drinks, and shopping. VIP ticketholders got a front row experience and exclusive merchandise. Outlaw Music Festival Tour 2018 is presented by Southern Comfort. For more information, visit Outlaw Music Festival.